The Global Engineering Education Exchange (GE3) is an international exchange program for students in Engineering and Technology majors. This customized IST track is designed for students in the College of Computing and Informatics and is taught entirely in English. Studying at Institut national des sciences appliquées de Lyon (INSA Lyon) is a fantastic opportunity for students to explore their academics from a French perspective. Located on the premises of the Science and Technological Park of la Doua in Villeurbanne, INSA Lyon is ranked among the top universities of Science and Technology in Europe, multidisciplinary and international, at the heart of the European Higher Education Area. The IST English option is jointly organized by three engineering departments of INSA Lyon (Telecommunication Department(TC), Computer Sciences and Engineering Department (IF), Electrical Engineering Department (GE) in collaboration with three research laboratories. Students take scientific courses, a French language course, and complete a research project. Read more about the program. Research and development project: conducted within one of the three research laboratories (CITI, CREATIS, LIRIS). Students will have to make a bibliographic study, to develop their own contributions that will be presented in a final report and during an oral presentation. Review the pre-approved courses here: IST Course Equivalency Spreadsheet. 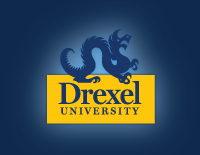 Courses or disciplines that are not approved must be approved by the Drexel Department Head in that subject.